Congratulations to everyone who made it to the next round with the WDW Moms Panel. I am happy to say I am a part of that group. YAY! The notification emails went out yesterday. In case you're wondering, here's what's involved in round 2. This portion is still all online. There are several drop down boxes asking about other languages, other Disney vacation experiences, travel with children and travel with guests with special needs. They also want to see your WDW planning document. However, they only allow you to upload one page. I have a multi-page spreadsheet "command center." I guess I'll have to work on condensing what I normally use. Another 100 word essay is required. This time the topic is your history with and impression of the Moms Panel. 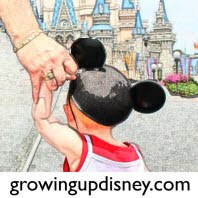 Applicants also have to upload a 60 second video about your favorite WDW memory. All of this is due by Friday at midnight. I'll be submitting my information soon and I'll keep you posted if I get to continue with this process. congrats again! and you should post your video to the blog after you submit it! Wish you lots of luck with the next phase. Congratulations!!! You will do great!